Vedauwoo (Vee-dah-voo) is one of the rock climbing meccas of the world thanks to it's endless rock outcrops and hoodoos of 1.4 billion year old Sherman Granite. There are over 900 rock climbing routes on record, with many featuring some of the best wide crack climbs (called "offwidths") known. 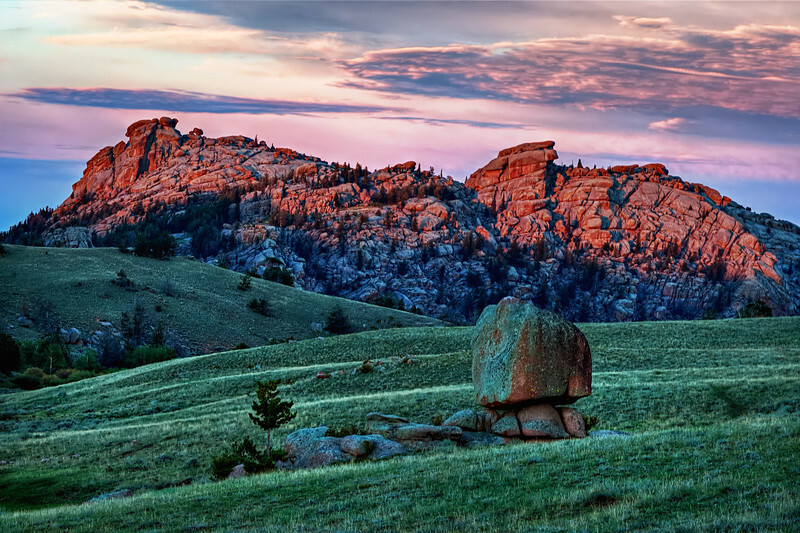 Vedauwoo is located between Laramie and Cheyenee Wyoming in a unique isolated/disjunct part of the Rocky Mountains..